Ms. Moore did edgy — on Saturday. At the Independent Spirit Awards, she wore a Dior Haute Couture minidress that appeared to be constructed out of shiny candy wrappers. “She has a very open mind, and she loves to take risks,” her stylist, Leslie Fremar, told The Times's Alexandra Jacobs. On Sunday night, which was Ms. Moore's turn to take the trophy after five nominations, she set risk aside. Her floral embroidered Chanel Haute Couture gown was the picture of uncontroversial awards-season elegance. 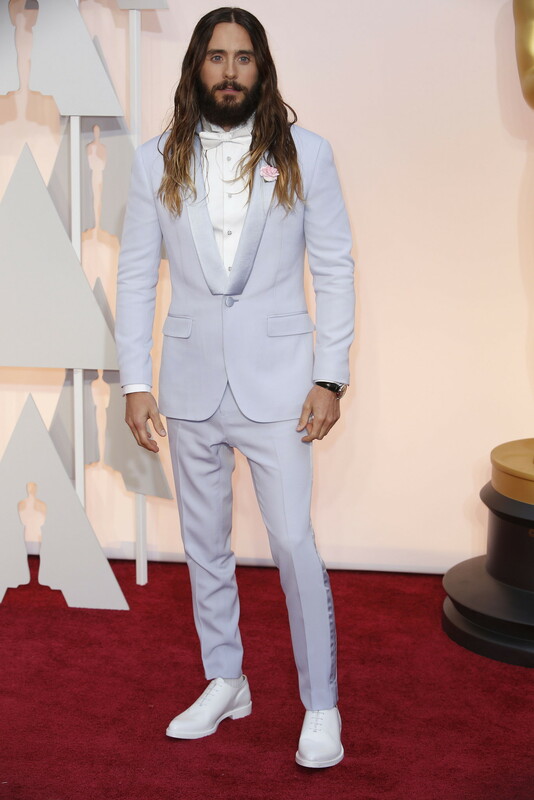 "Karl Lagerfeld made this for me," she said on the red carpet. An offer like that is hard to refuse. See more of her looks. Ms. Stone shot to the top of best-dressed lists after the Golden Globe awards, when she did the unthinkable: she wore pants. She took the more traditional route for Oscar night — a floor-length gown, properly glittery — but it isn't every young actress who could carry off acid green. Elie Saab, the Lebanese couturier who is a red-carpet mainstay (Halle Berry accepted her Best Actress Oscar wearing a Saab gown), designed the dress. But equal credit has to go to Ms. Stone, who pulled it off with aplomb. 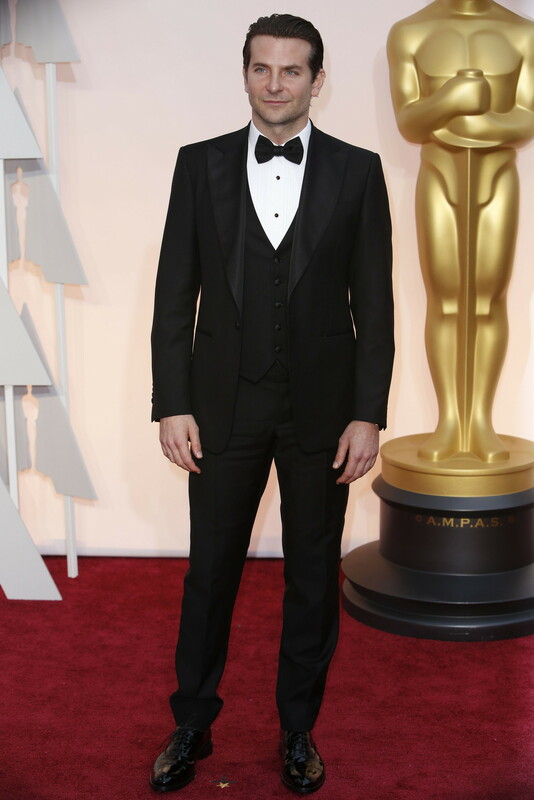 Tom Ford's name has been in the air this Oscar season. In a move that seemed to acknowledge a truth not universally acknowledged — that star power, as much as industry validation, drives fashion sales — Mr. Ford moved his women's wear show from London Fashion Week, currently underway in Britain, to Los Angeles, where it was held last night to a crowd thick with celebrity fans. 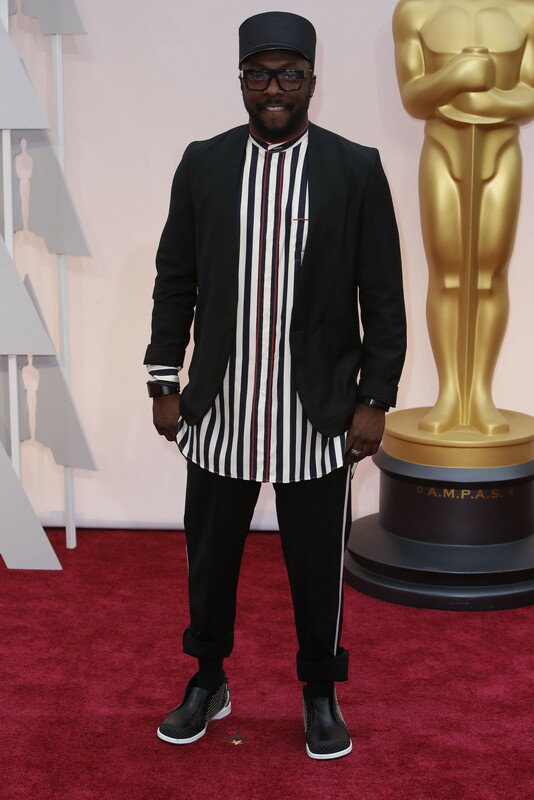 Mr. Ford didn't sweep the Oscars red carpet this evening, but the look he got was worth a passel of also-rans. Reese Witherspoon, a nominee for her role in "Wild," wore a simple white dress with black accent details by Mr. Ford. 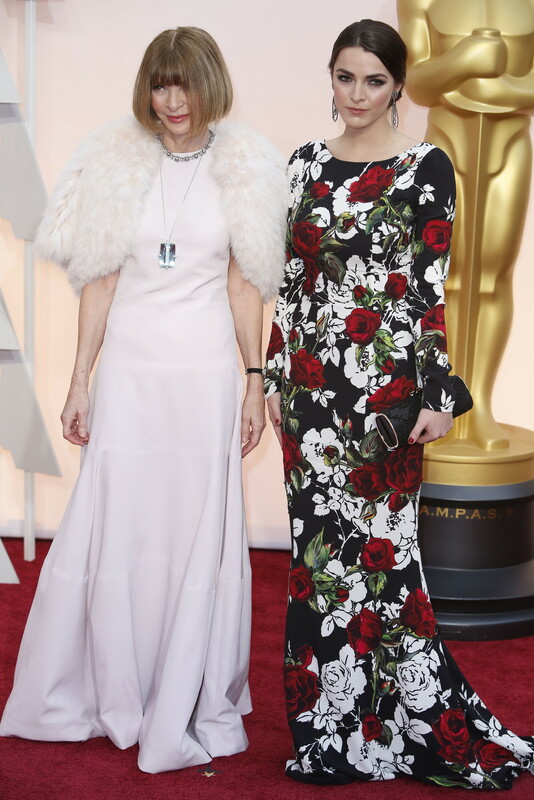 It was one of the evening's big winners, even if she didn't get the Oscar. The Oscars novice of the year is not a nominee — not yet. But Ms. Johnson, currently riding a wave of notoriety from "Fifty Shades of Grey," emerged from the awards as a style star in the making. She wasn't the only actress to wear Saint Laurent; Margot Robbie, the Australian up-and-comer from last year's "Wolf of Wall Street," did, too. But Ms. Johnson made the grunge-leaning Saint Laurent look both fresh and classy on the red carpet, making a complicated one-shouldered silhouette and a hard color look (dumb fashion word coming, sorry) effortless. She's still getting her sea legs on the carpet, to judge from the awkward interviews she gave to the Seacrest posse. But she's got style, at least, to run circles around many actors and actresses with years more experience. 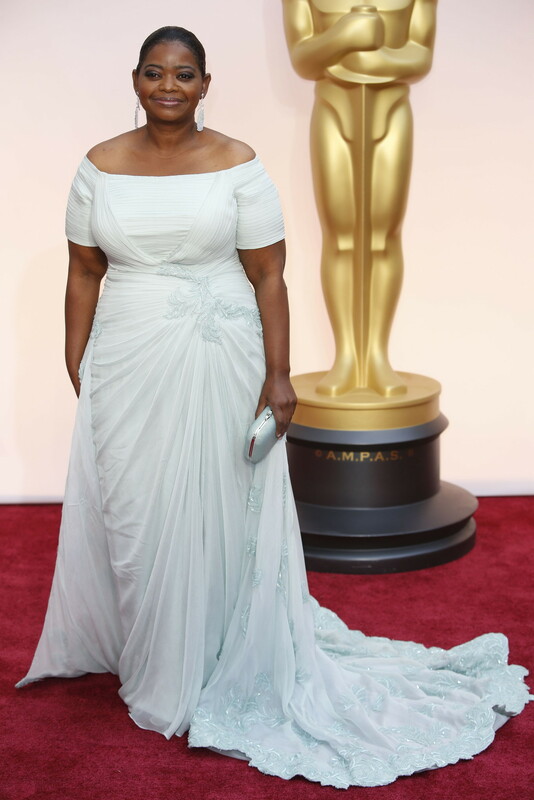 This year, Ms. Nyong'o didn't have the pressure of a nomination, but she didn't slack in the dress department. Her gown, a custom design by Francisco Costa of Calvin Klein Collection, was liberally studded with natural pearls, some 6,000 according to published reports. It must have weighed a ton. 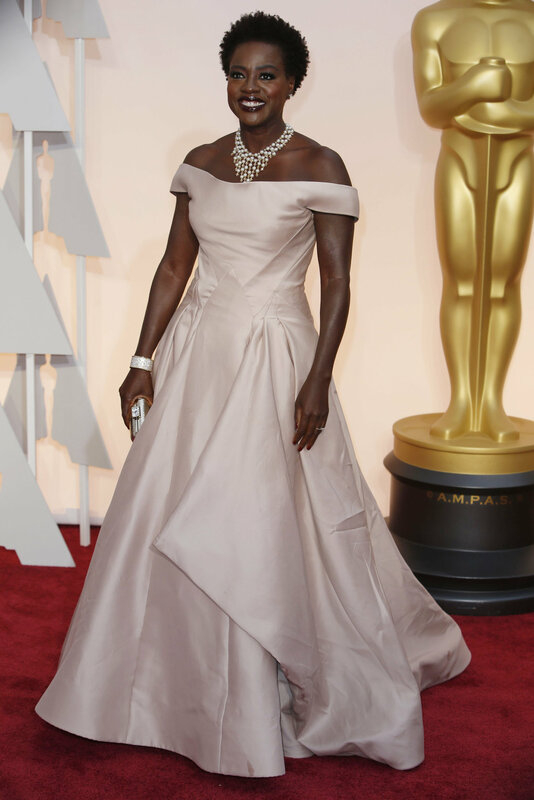 But Ms. Nyong'o, by now a veteran warrior of the red-carpet wars, proved that she's no slouch. You can set your watch by Ms. Cotillard's red-carpet choices — provided that it's a Dior watch. Ms. Cotillard, a longtime ambassador for the label, is, with few exceptions, brand faithful. But the Dior designer Raf Simons caroms over so wide a spectrum in his Dior designs that it's still possible to be surprised. For the awards ceremony this evening, Ms. Cotillard, a nominee for "Two Days, One Night," selected a white Haute Couture gown, picking up on a minitrend of the evening: white dresses for black tie. It looked as good from the back, where it gathered with a black band, as it did from the front. Does the carpet match the dress? For a few brave souls, yes. Ms. Pike, a nominee for "Gone Girl," chose lipstick-red Givenchy Haute Couture. It was a bold move, but Ms. Pike reaped the reward. Her strapless high-slit gown, if not one of the night's most exciting, was flattering and memorable. What's more, her red belt blended in and so didn't invite jabs from the online peanut gallery, as Nicole Kidman's did. "Divisive" is the word for Ms. Jones's Alexander McQueen gown, which has fans and detractors in roughly equal measure. Or maybe "divided" is closer to the mark. The bodice of Ms. Jones's gown, detailed with what the brand called "3D flower embroidery," seemed high fashion; the sweeping skirt, bridal. Like it or hate it, you have to give her this much, at least: for a Best Actress nominee from a tear-jerker love story, it felt appropriately romantic. If it glitters, it might be Oscars gold. Or Oscars silver, in Ms. Watts's case. On the actress, Armani Privé looked expertly worked and unbelievably expensive (as it usually does) and uncomplicatedly chic (which it doesn't always). Future Armani wearers, take note. Ms. Robbie, the breakout star of "The Wolf of Wall Street," soon to be beguiling Will Smith in "Focus," opening this week, went wily for the Academy Awards, in a plunging femme fatale look by Saint Laurent. Whopper necklaces have been one of the evening's minitrends — see also Scarlett Johansson, Cate Blanchett and Laura Dern — but Ms. Robbie's has provenance. It's a vintage Van Cleef & Arpels, originally designed, she told the red-carpet fashion squad, for the Duchess of Windsor. "This necklace right here," she said, "is worth more than my life." 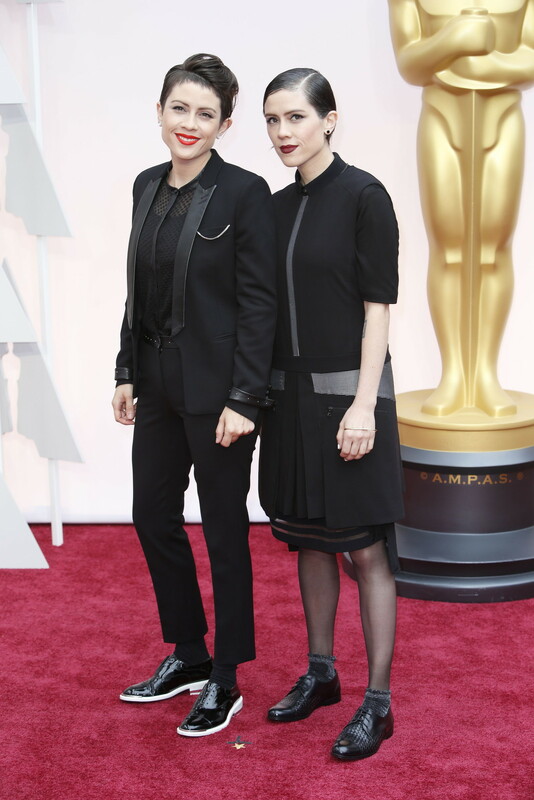 Patricia Arquette, who won the Oscar for Best Supporting Actress, bypassed the usual red-carpet guessing game. She announced her intention to wear a gown by her friend, the designer Rosetta Getty, the Los Angeles-based designer, and, lo and behold, she did. "It was easy to design a dress for Patricia since we have been best friends for years," said Ms. Getty in a statement. "When we were young, we always dreamed about how she would be an actress and I would be a fashion designer." Dreams come true! Five days ago, Peter Copping presented his first collection for Oscar de la Renta. It didn't take long to get its first red-carpet airing. Ms. Miller wore a navy guipure lace and floral macramé from fall 2015. That's a big get for the house, and for Mr. Copping as the successor to the late Mr. de la Renta, who was beloved of starlets. Consider it a good sign for red carpets to come. If the words "Margiela" and "red carpet" seem at odds, well, you may be thinking of the old Margiela. With its new designer, John Galliano, at the helm, a maiden voyage to star-studded glamour seemed all but inevitable. The moment arrived courtesy of Ms. Blanchett, who wore a silk velvet gown by Margiela Couture, designed, according to the label, especially for her. Ms. Washington in Miu Miu. Ms. Chastain in Givenchy couture. Ms. Kendrick, whether by accident or design, was one of the first A-listers to walk the carpet once the preshow cameras were rolling. It was a rare case of being fashionably early: Ms. Kendrick's coral silk georgette gown, a custom piece by the New York designer Thakoon Panichgul, dominated the early red-carpet conversation on Twitter. 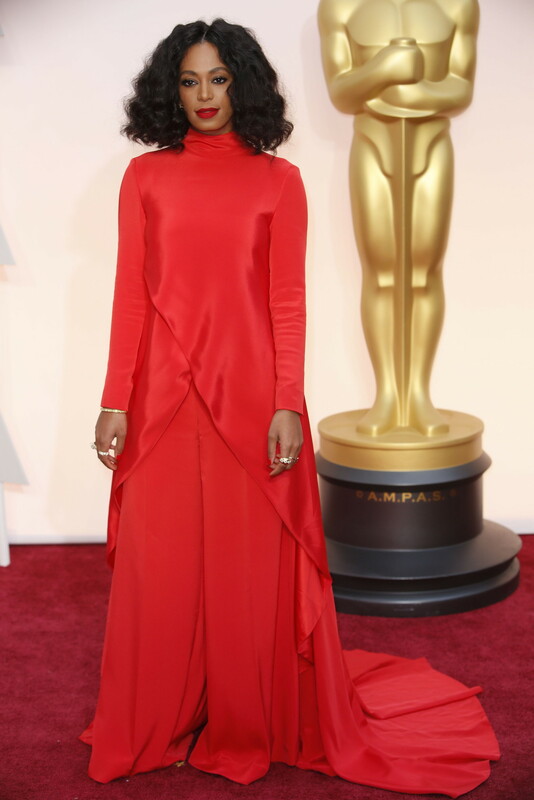 The commentariat was generally in favor of Ms. Kendrick's dress, though for my money, a little princessy, as Ms. Kendrick's recent choices for the big red-carpet moments generally are. (She was in a frothy Monique Lhuillier at the Golden Globes.) 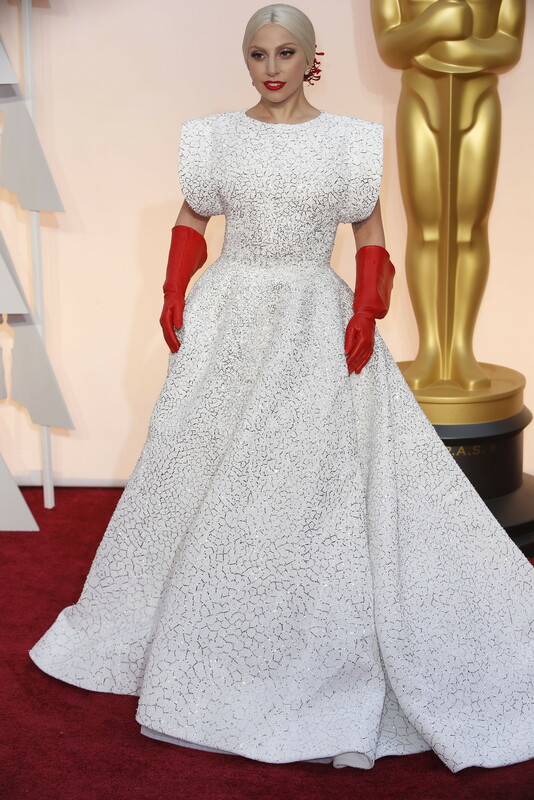 Maybe playing Cinderella in "Into the Woods" rubbed off? Mr. Redmayne and Mrs. Bagshawe in Alexander McQueen. He in Giorgio Armani; she in Armani Privé. The couple that wears Armani together, stays together? Ms. Paltrow in Ralph & Russo. Ms. Kidman in Louis Vuitton. Ms. Lopez in Elie Saab. 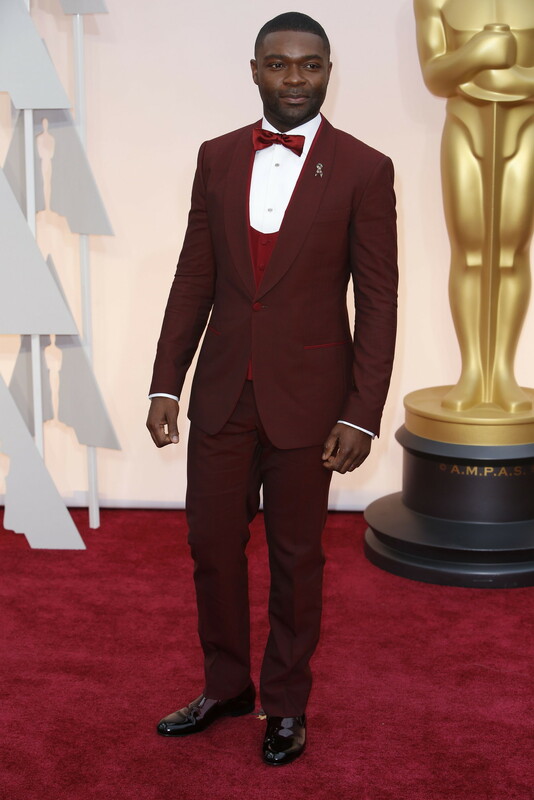 Mr. Oyelowo in Dolce & Gabanna. Mr. Legend in Gucci and Ms. Teigen in Zuhair Murad. 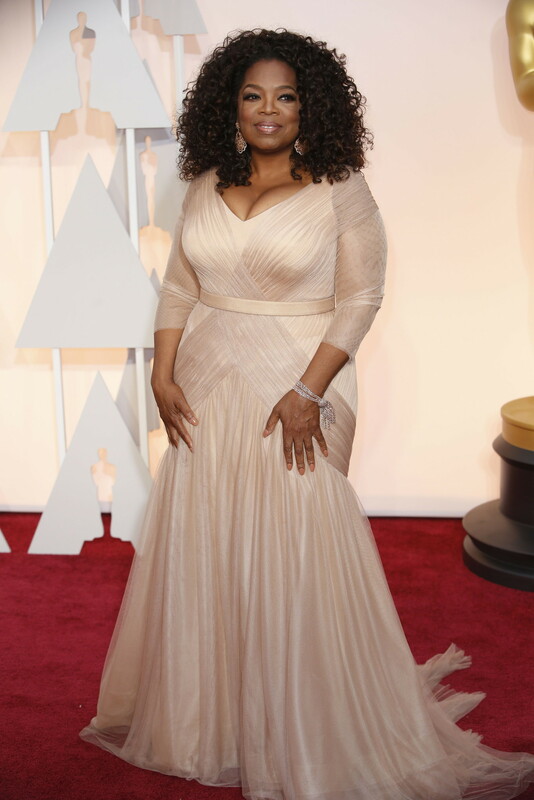 Ms. Winfrey in Vera Wang. 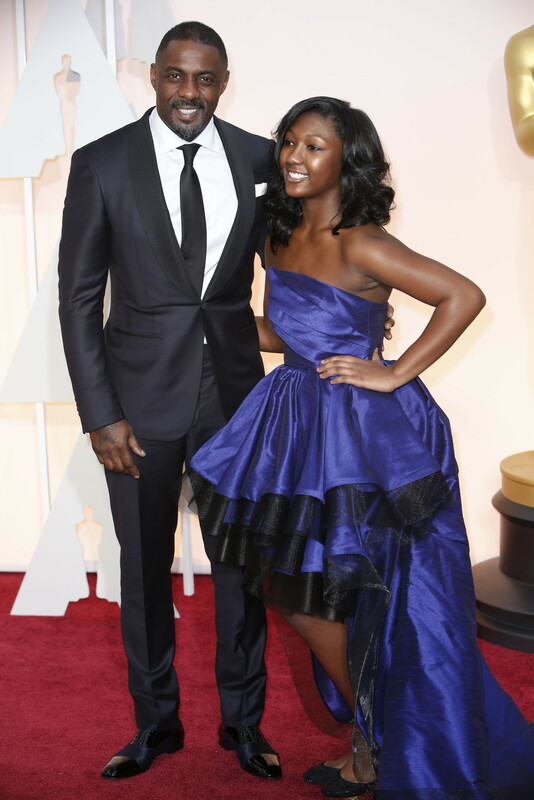 Mr. Elba in Ermenegildo Zegna. Mr. Tatum in Dolce & Gabbana and Ms. Dewan-Tatum in Zuhair Murad. Mr. Cooper in Salvatore Ferragamo. 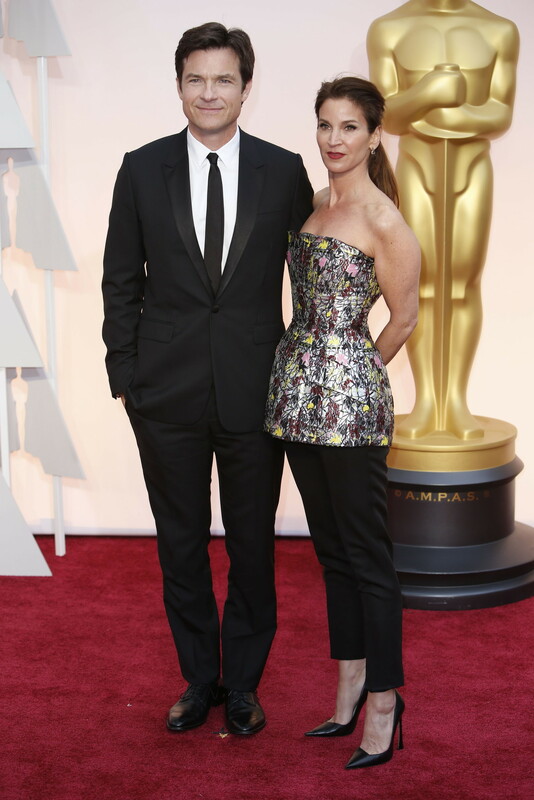 Mr. Ruffalo in Ermenegildo Zegna couture and Ms. Coigney in Rubin Singer. Ms. Hudson in Romona Keveza. Ms. Preston in Gustavo Cadile. Ms. Knowles in Christian Siriano. Ms. Moretz in Miu Miu. Mr. Pine in Giorgio Armani. Ms. Davis in Zac Posen. Ms. Spencer in Tadashi Shoji. Ms. Russo in J. Mendel. Mr. Bateman in Dior Homme. Mr. Pratt in Tom Ford and Ms. Farris in Zuhair Murad. Mr. Norton in Calvin Klein. Ms. Saldana in Atelier Versace. 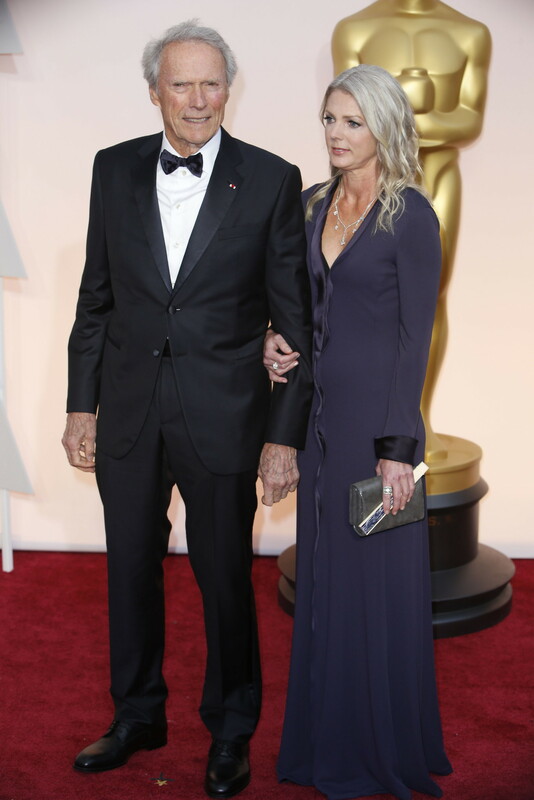 Ms. Dern in Alberta Ferretti. Mr. Duvall in Ermenegildo Zegna. Mr. Carrell in Brunello Cucinelli. Mr. Linklater in Dior Homme and Mr. Hawke in Prada. 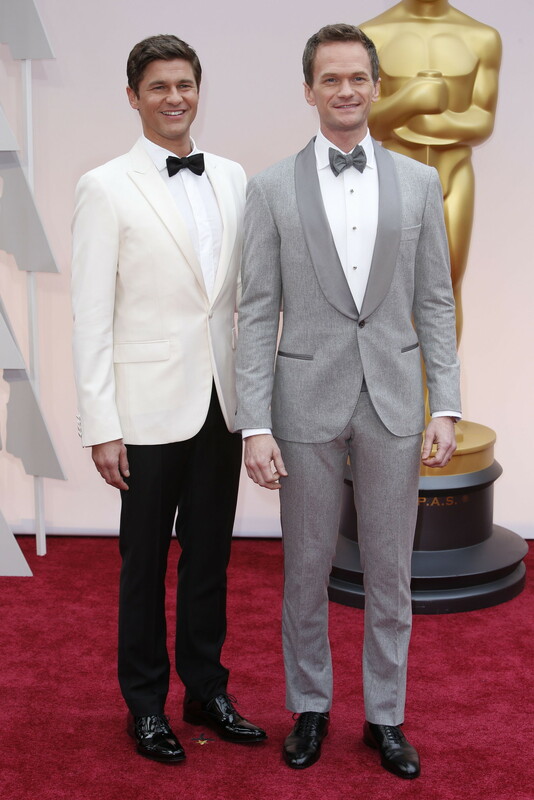 Mr. Samberg in Ermenegildo Zegna and Ms. Newsom in Honor. 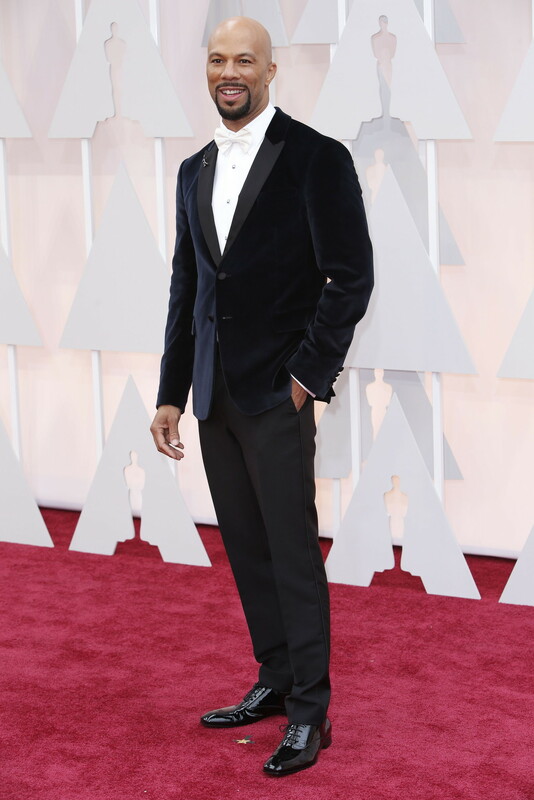 Mr. Harris in Brunello Cucinelli. Ms. Hill in J. Mendel and Mr. McGraw in Lanvin. 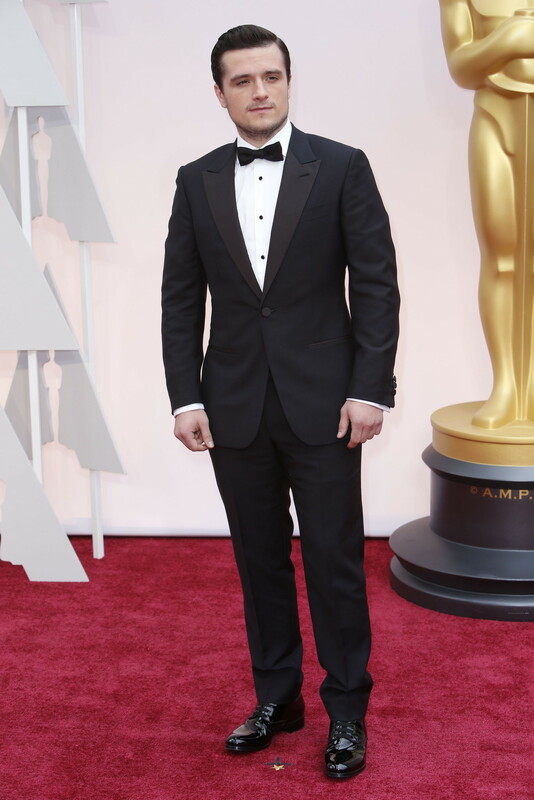 Mr. Hutcherson in Ermenegildo Zegna couture. Ms. Ferrera in Jenny Packham.